Raising children in a positive environment according opportunities for their intellectual, physical and personality development has grown beyond parental and domestic responsibility with the government actively promoting Early Childhood Education (ECE). The growth of nucleus families, single parenthood and avenues for gender equality have also been factors that have contributed to a flourishing ECE sector, the leaders among which are those that promote cultural and social values. As youth crime becomes a social evil, governmental and non-governmental agencies believe that the best way of tackling the problem and ensuring better outcomes is by instilling good values in children during their most impressionable years. The ‘Catch them young’ concept denotes children up to five years of age as this formative period is the best in the life of an individual and anything beyond would be too late. ECE is therefore seen as the single most significant contributor in building the future with citizens of high calibre, quality, numerical skills and literacy. Accompanying these are qualities of compassion, self-respect and social and community responsibility. 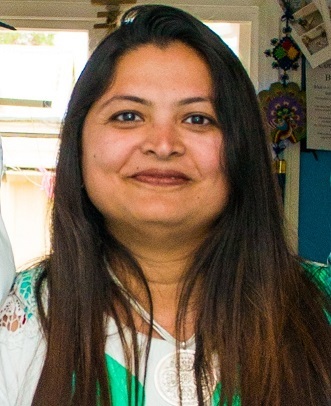 Bhavini Doshii, the Centre’s Director is passionate about children and considers their good upbringing as social and community responsibility. “Our vision is to provide ECE programmes in partnership with families and the community. We believe in enhancing the abilities and skills of the whole child, including social, physical, intellectual, communication, and emotional (SPICE) development,” she said. Her Rainbow Centre has become a hub of activity with parent and caregivers going about their daily livelihood assured that their children are in good care, with a congenial environment for playing, learning and most important, building friendships. The Centre’s teachers – ten of them- are aware of their responsibilities and as such respond with natural care and affection. 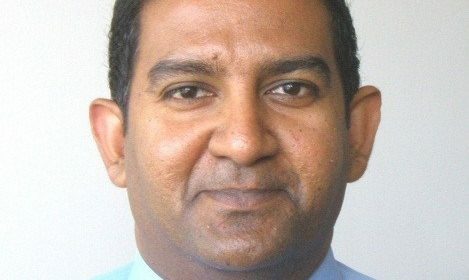 An Education Office Review of the Education Ministry stated in its Report that the Centre’s curriculum in Gisborne is responsive to the individual requirements of infants and young children. “Children choose who they play and learn with. Teachers carefully listen to children and respond. Staff recognise and regularly document children’s learning and provide further relevant experiences based on this assessment. Ms Doshii considers such accolades encouraging and inspiring to do more. “While I was always keen to become a teacher, our earlier stay in Gisborne enabled us to establish a Centre and work for the betterment of children. That experiment has been successful accounting for 40 children and six teachers. The Centre in Manurewa is already filled to capacity with 70 children and ten teachers. With home-based childcare providing for 80 children, we are beginning to make an impact on the lives of many,” she said. She and her husband Rrahul were earlier residents of Glasgow, which launched her career in childcare. A Gujarati by origin, she belongs to the ‘Connecting Culture,’ taking advantage of the Indian, British and New Zealand cultures. “The Rainbow Centre enables me to promote a network of wider communities as children here belong to various ethnic groups. 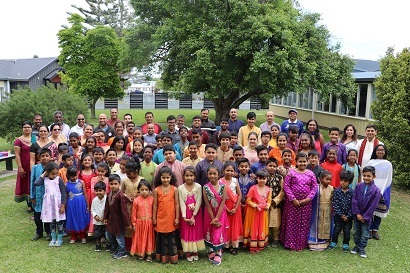 Our location in Mangere East provides avenues for strong cross-cultural relationships and the confidence that we can all work together as a country and bring up our children with the right qualities to become quality citizens,” she said. A mother two boys (aged 16 and 6), she understands the anxiety of parents in providing the best for their children in a multicultural environment. She said that the Centre has Planned Activity with a curriculum that is based on social, emotional, cultural and intellectual needs. “The Centre has resources appropriate to cater to the needs of children from different cultures including Maori and Pacifica. We also have ‘Spontaneous Teaching,’ which can include a variety of subjects including Nature and its bounty. The objective is to extend the knowledge of our children and enable them to appreciate all good things in life,” she said. According to Ms Doshii, all children are capable of learning and have individual needs, skills, and talents. “Children learn best in a setting that reflects the diversity of the community and as active participants in cooperative, play-based experiences. They also learn well through experiences that enhance their self-esteem, help them make choices, and develop competencies,” she said.